South Korea’s top automaker Hyundai Motor and sibling Kia Motors together commanded less than 4 percent in China’s car market in March, fast losing grounds in the world’s largest auto market against ascension of local brands. According to data from Chinese and local industry on Thursday, the combined share of Hyundai and Kia cars in March stood at a record low of 3.9 percent in China’s car retail market, where total sales declined 12 percent on year to 1,781,000 units. Passenger car sales fell 12 percent to 1,740,000 units and commercial vehicles down 6 percent to 40,000 units as consumption soured in the world’s second largest economy amid escalated trade tensions with the United States. 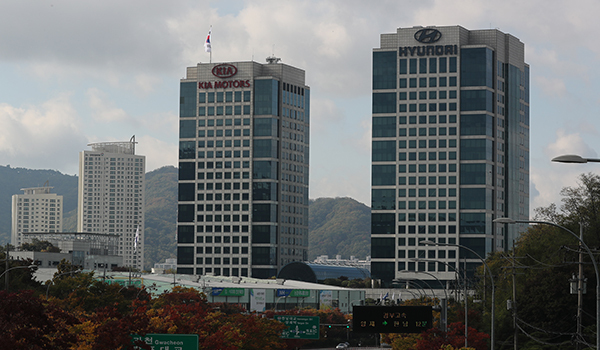 Sales of Hyundai and Kia vehicles dropped by a bigger margin of 27 percent in the market with sales by Hyundai tumbling 27.4 percent on year to 45,010 units Kia 26.7 percent to 22,007 units. Korean cars took up more than 10 percent of car sales in China until 2014. Before Beijing encouraged a consumer boycott on Korean brands amid diplomatic row over installment of a U.S anti-missile system in 2016, Korean share in the Chinese car market stayed above 8 percent. Hyundai Motor Group this year has embarked on organizational realignment to address its poor performance in China. It will plug off a Hyundai factory in Beijing and a Kia production line in Yancheng next month. The Yancheng plant is expected to be handed over to Kia’s Chinese partner Yueda Group to turn out electric vehicles.